"Garron, the piano looks beautiful, were thrilled". 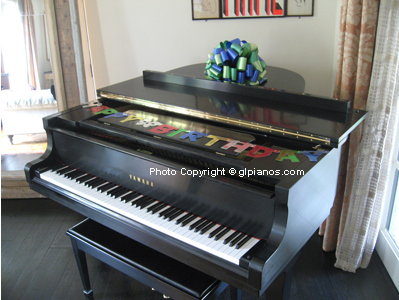 Here is a Kawai XO-2 that I sold to a famous actor. We decorated it (complimentary), as a birthday gift for his son. 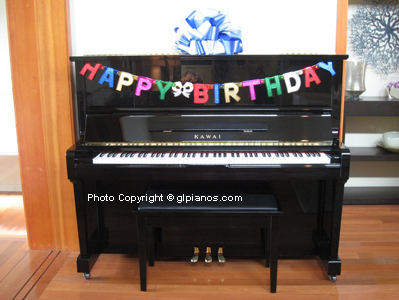 "Hi Garron, We are so grateful to you and your wonderful piano! We all love it and it sounds incredible!". 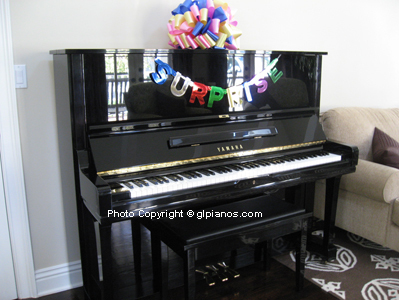 Here is a Yamaha G2 that I sold to an entrepreneur and his wife. We decorated it (complimentary), as a birthday gift for their son. Upon delivery my client told me she was very pleased. received a text message from her saying "It's perfect". I always strive to exceed client's expectations.